And lots of people use them and/or need to use them. The question is, how on earth do you prepare them in Excel. After all there isn’t a Gantt chart option in there. It’s true, there is no Gantt chart option in Excel. 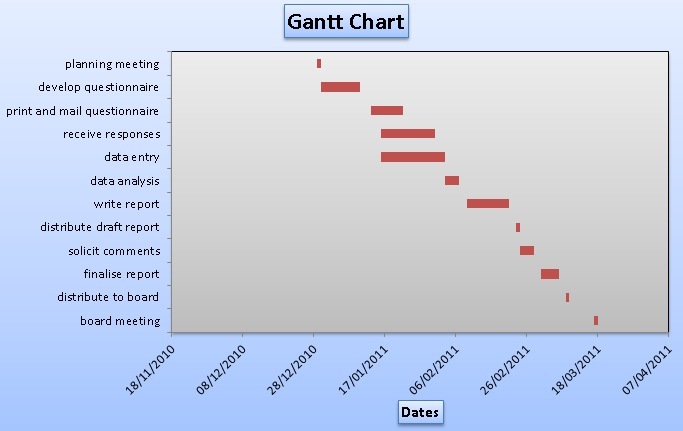 It is possible to draw a Gantt chart in Excel though because that’s where that chart above came from! 2 To create a chart select the rangeA6:C17 then click Insert and create a stacked bar chart … use the second subtype, which is labelled Stacked Bar. 3 Notice that Excel incorrectly uses the first two columns as the Category axis labels. Click OK to leave the chart wizard to create an embedded chart. 6 Create or amend the title and add the horizontal axis label … this is no real need for the vertical axis label but feel free to add Task if you wish. 7 Adjust the horizontal axis Minimum and Maximum scale values to correspond to the earliest and latest dates in the data (note that you can enter a date into the Minimum or Maximum edit box). You might also want to change the date format for the axis labels. 8 Right click the vertical axis and select the Number sub menu: select Format Axis dialog box for the vertical axis. In the Axis options select the option labelled Categories in reverse order and also select the option labelled Horizontal axis crosses at maximum category. 9 Right click the first data series and select Format Data Series. In the Fill section, set fill to No fill and Border Colour to no line. 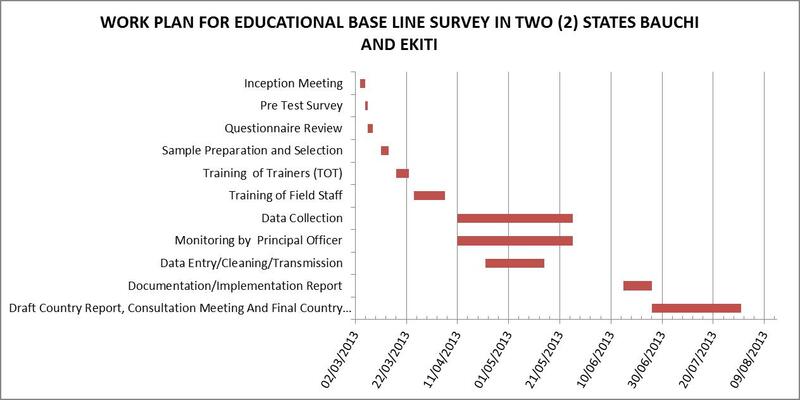 This makes the first data series invisible and is the key to this chart. 10 Apply other formatting, as desired. That’s it! Read this information once, twice, as many times as you need. Then enter your own data, adjust the formulae and change the data series in the chart, as you need. I just bought your book Excel Project for Accountants (Kindle as well as paper back).Overall the book makes an excellent presentation of most useful functions in excel. But I am at a loss regarding the excel files. Can u please post as link. Thanks and apologies Sanu. I am checking this now but so far they seem to be where they should be. One more check and I will come back to you with any changes. I have sent you an email Sanu explaining how to find the files on my web site: available to everyone who buys this book. Thank you for your kind words about my book too! Thanks Mr.Duncan for the post.Really appreciate your immediate feedback. Once again my sincere appreciation for the most useful excel book ever meant for accountants/analysts !!! May be you can top it up with a financial modelling book using excel.